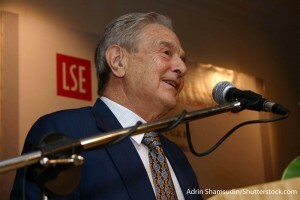 George Soros- "Money is made by discounting the obvious and betting on the unexpected." I believe the market prices are always wrong in the sense that they present a biased view of the future. I am for maximum supervision and minimum regulation. I believe that market prices are always wrong in the sense that they present a biased view of the future. But distortion works in both directions: not only do market participants operate with a bias, but their bias can also influence the course of events. For instance, the stock market is generally believed to anticipate recessions, it would be more correct to say that it can help to precipitate them. Thus I replace the assertion that markets are always right with two others: I) Markets are always biased in one direction or another; II) Markets can influence the events that they anticipate. As long as the bias is self-reinforcing, expectations rise even faster than stock prices. Nowhere is the role of expectations more clearly visible than in financial markets. Buy and sell decisions are based on expectations about future prices, and future prices, in turn are contingent on present buy and sell decisions. Fundamental analysis seeks to establish how underlying values are reflected in stock prices, whereas the theory of reflexivity shows how stock prices can influence underlying values. One provides a static picture, the other a dynamic one. It is an old joke that the stock market has predicted seven of the last two recessions. Markets are often wrong. Boom-bust processes are asymmetric in shape: a long, gradually accelerating boom is followed by a short and sharp bust. Consequently, most of the credit contraction can be expected to occur in the near term.